Star Trek: Asterisk "Officer's Lounge - Is There in Enterprise No Brain?" 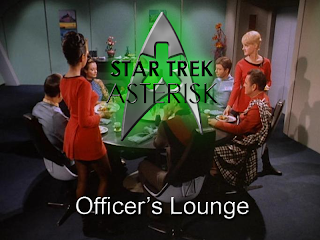 Well, after last week's issue with the warp core, we've fixed the breach and have gotten everything in peak condition, so how about a new episode of Star Trek: Asterisk, eh? This week, we continue our adventures in season 3 of The Original Series with three new episodes: "Spock's Brain", "The Enterprise Incident", and "Is There In Truth No Beauty?". Recount the tales of our journey here.